Apple has earned a reputation as one of the most innovative companies on the planet. And, while they don’t always design the most compatible devices, the company has been one of the first big names to adopt eSIM technology. Since Optus announced eSIM support, there’s been a lot of buzz around the new feature. This article will focus on the definition of eSIMs, the benefits they bring and discuss the future of this technology in Apple products. As the name suggests, an eSIM is an electronic SIM card that allows you to have two phone lines on the same device. This is different from Dual SIM technology because it doesn’t rely on a physical slot. Instead, the device features an internal piece that’s smaller than the nail on your pinky finger. This piece allows your device to be registered on a mobile network with the need for an actual SIM card but offers the same functionality. While eSIM technology is only available for certain devices, it’s important to understand the benefits that it brings. 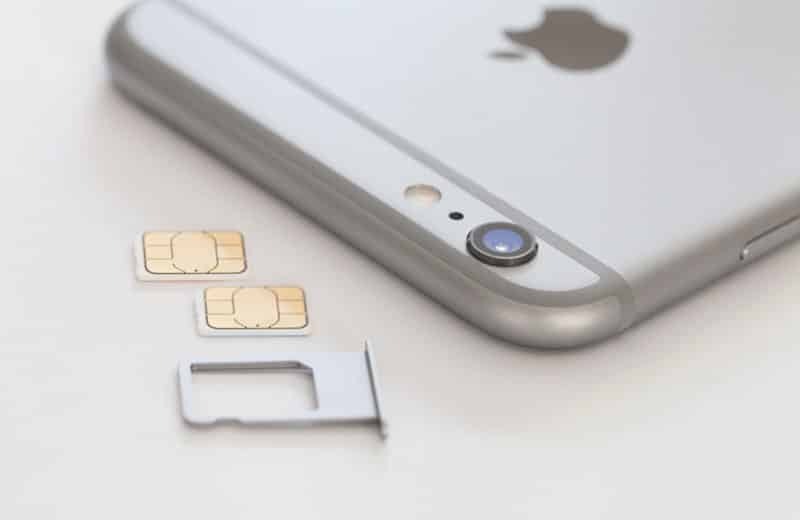 There are many scenarios where a conventional SIM card may become inefficient, for instance, when travelling, looking for a new carrier, and during the manufacturing process. Instead of having to order a new SIM or go to a store when you’re abroad, eSIMs allow you to simply make a phone call and have your phone registered on a new network. And, this technology also has the potential to create a less tedious number transfer process when going from one carrier to the next. At the time of writing this blog, Optus is the only Australia telco to support eSIMs. But, given similar trends in the US and South Korea, there’s a strong chance all other carriers will follow this practice. This will mean more flexible plans, better services, and functional features in your new smart devices. One of the reasons Dual SIM technology wasn’t adopted by all major manufacturers is because the second slot translates to bigger phones. Because the part that power eSIMs is so small, manufacturers are able to create better devices that use space more efficiently and have better battery life. Despite the fact that Apple products usually feature proprietary technology, new devices support eSIM technology because it brings a variety of advantages. Most Australian carriers are still working on supporting this new technology, but it’s safe to assume that the future of mobile networking will definitely include eSIMs. Although Apple was not the first major manufacturer to support electronic SIMs, their smartwatches are responsible for popularizing this feature. The products that currently support eSIMs are the iPhone XS, iPhone XS Max, iPhone XR, new iPad Pro, and Apple Watches Series 3 and 4. That being said, remember that not all these are supported by Aussie telcos yet, but stay tuned for any updates on this! The organisation that represents the interests of mobile operators around the planet, known as the GSMA, has announced its set of standards of eSIMs. In other words, this technology has already made a lasting impression and it will become a popular way to increase functionality in future devices, including new iPhones, iPads, smartwatches, and even in the Internet of Things industry. Find the Best Mobile Plan Today! While eSIM support is an awesome feature, there are many different elements that should help you identify the best mobile plan. The tips below should help you understand this new technology and decide whether you want a telco that has this functionality or if you’d rather focus on other details. Want to find the best mobile carrier? Check out our reviews and make the right choice today. Kym Wallis, the founding director of Higher Ranking has over 15 years of advertising sales, digital strategy, and business development experience.